This page will have more mares of RRC Ranch when photos are available. This is a double bred Bask* mare by Alada Padron who is an Aladdinn gr.son. She is out of a Bask* and Abu Jorabi gr.daughter. 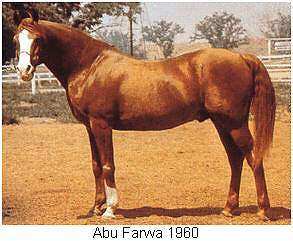 Her blodlines also include Al-Marah Tiger Sheik and Nirahbu an Abu Farwah son. She has produced on AHRA colt, who is now a breeding stallion, and has produced 3 pinto quarab fillies from Super Dusty Bars! She is due for a Sep 2006 fol, again sired by Super Dusty Bars. Sire-Sonny Doc Bar - Dam-Miss Alabama. This a 16yr old quite gentle stud standing appx 15.1 hands, that a child can ride. 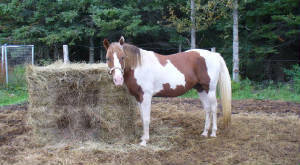 He comes from Alabama and is from working foundation APHA lines. We have 4 foals off this stud for 2006 that can be viewed in mid to late 2006. Click on the link below for his pedigree. May be standing at stud for 2006.